The Upper California Crossing, where Lodgepole Creek joins the South Platte River near Julesburg, Colorado, served wagon train travelers as the principal place to cross from the south to the north side of the wide stream that bisected the Overland Trail. In Eagle Talons, The Iron Horse Chronicles–Book One, Will Braddock rides his Morgan horse, Buck, across the river at this point after helping Jenny McNabb and her family repair a broken wheel on their covered wagon. Noted artist William H. Jackson produced this famous painting from a sketch he made in 1867, the very year Braddock crossed the river. 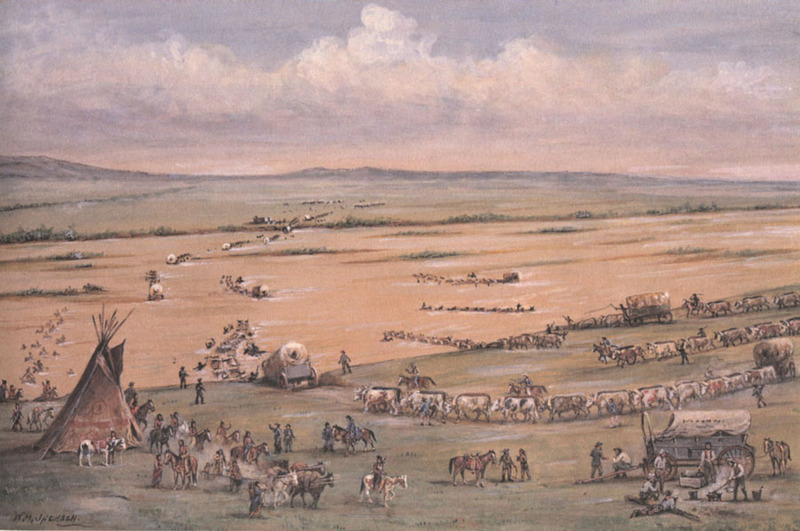 The Hell on Wheel’s town of Julesburg and the approaching Union Pacific Railroad are off to the right on the far bank and out of sight in Jackson’s painting. Fort Sedgwick, named for a Union general killed during the Civil War, is off to the right of the painting on this side of the river, the south side. This is what Will would have seen when he approached the Upper California Crossing, with the exception that when he crossed there was no wagon train fording the river. The town of Julesburg used to be on the south side of the river, also; but when the railroad decided to build down the north side, the residents dismantled the town and moved everything across the river. 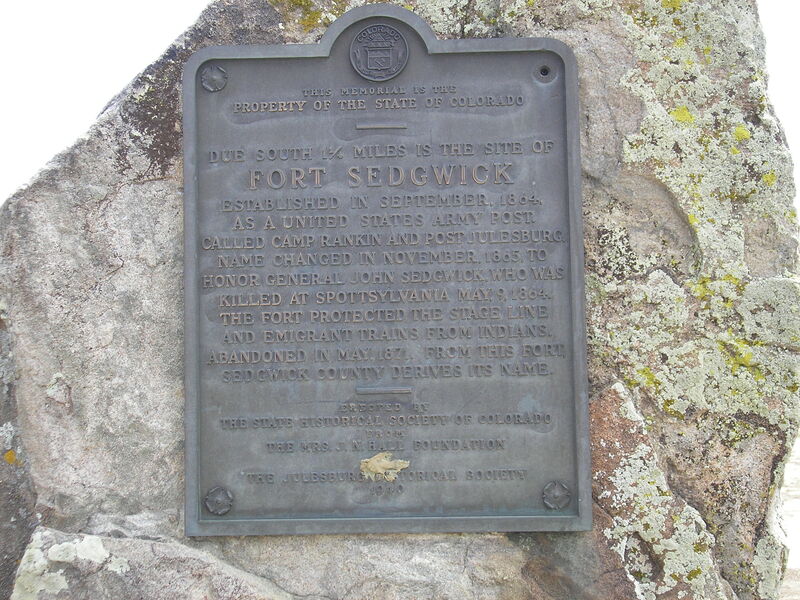 Fort Sedgwick remained alone on the south side of the river. Today, a highway bridge crosses the South Platte River at the location of the Upper California Crossing. It is difficult to visualize what Will Braddock would have seen. This entry was posted in Army, Eagle Talons - Book One, Geography, Iron Horse Chronicles' Characters, The Iron Horse Chronicles, Trails, Transcontinental Railroad, Union Pacific, Wagon Trains and tagged Adventure Fiction, Eagle Talons, Fictional Character, First Transcontinental Railroad, Frontier Fiction, Historical Fiction, Historical Personage, Jenny McNabb, Middle Grade Fiction, Pioneer Life, Teen Fiction, The Iron Horse Chronicles, Western Fiction, Westward Expansion (1867-1869), Will Braddock, Young Readers. Bookmark the permalink. Wonderful post. Love the history. Love the name, Buck. I’m reminded of Buck in Call of the Wild. These names in our history, fiction or fact, stir our hearts and minds to the trail or the track, where “the law of club and fang” dominate the landscape.